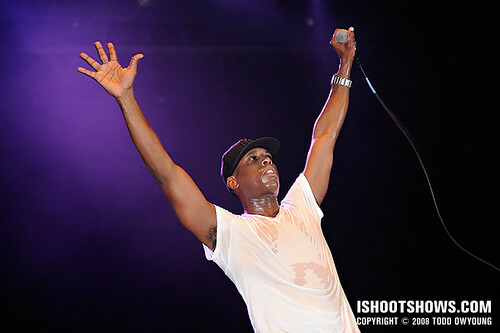 Opening for Nas on the Jones Experience Tour, underground hip hop star Talib Kweli delivered a tight set that drew from his deep catalogue, including old standbys like “Get By,” from his debut solo album Quality, and “I Try,” from The Beautiful Struggle. 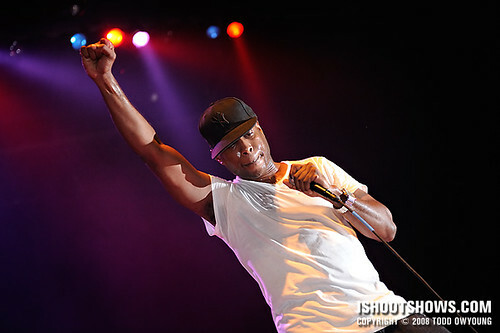 Due to the massive amount of movement on stage, I regularly find hip hop acts among the most challenging shows to photograph, and Talib Kweli´s performance was no exception. 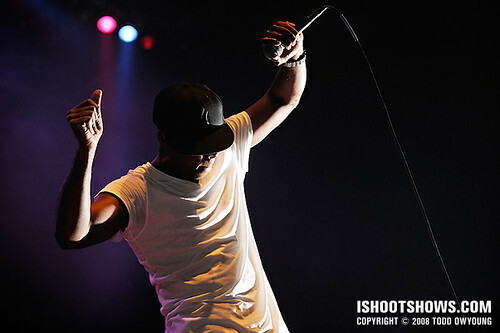 The MC worked the length of the stage, pacing left to right with no real home base to his stage presence. I shot this set with the Nikon SB-900 on-camera and two SB-600s as remote. Rather than move the remotes during the set as I have did for Sick Puppies, I left them stationary and focused on images made primarily in their active range. 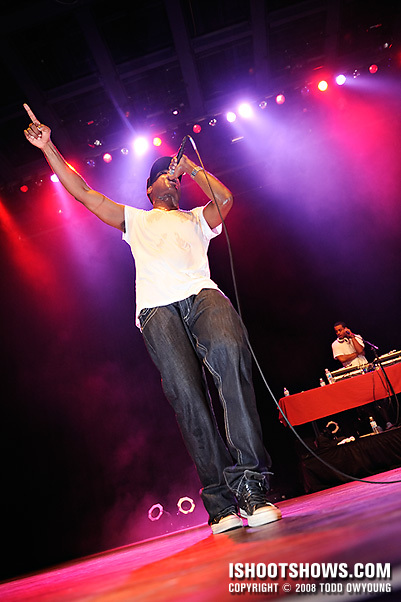 As has been par for the course with hip hop shows at the Pageant, lighting was minimal, with dim frontlighting and color accents from the rear. That first one is classic! I’m tempted to try and shoot The Roots & N.E.R.D. 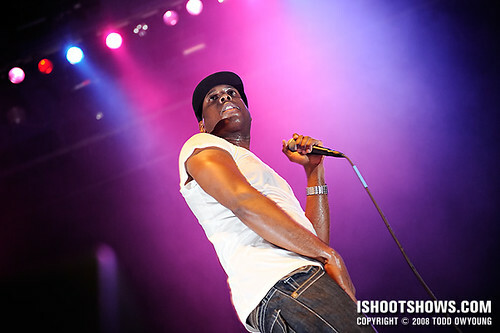 when they come to town but, with the only other rap act I’ve shot being Snoop at Unity Tour, I’m a little worried about getting good shots. 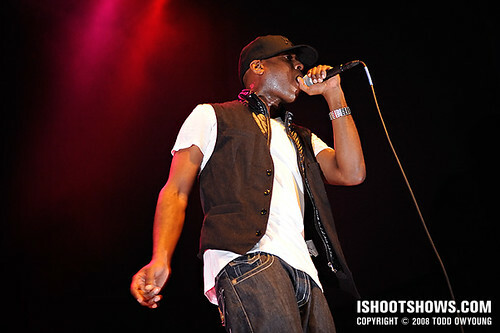 Do you approach rap acts differently in shooting or just wait for moments when the mic isn’t planted in front of the face? Hey Keath, thanks for the comment. 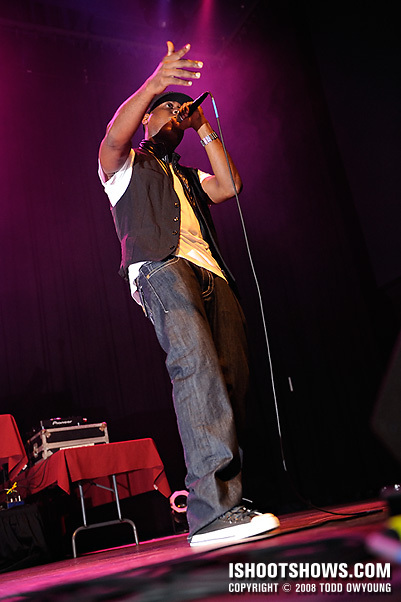 Hip hop acts are generally very trick, due to several factors: mic position, lighting, and movement stage. If you have good lighting, that helps with the overall look and also with freezing motion. As for the mic, I´ll look for angles and moments when the mic isn´t completely obscuring the lower half of the face – which itself is a big challenge. Patience and persistence pays off, so good luck! Thanks for the tips! I’ll give it a go! NORWAY?! What is UP there?! No wonder your phone went to voicemail today. Hope you are rockin it up! That sounds awesome. Cool set, I’m going to g o with 1, 3, and 6. Even though you can’t see his face in 1, I think the dark and light areas provide a really interesting contrast to the photo and give it a different feeling than what is normally felt in concert photos. The flashes really help! What does the 900 sync at? Yes, Norway. Thanks for your picks, Chris. As you said, #1 has a sort of different look than the others – a little more “drama” – so I had to put it up front. The D3 and D700 sync at 1/250, like the D2x. The old D70 actually beats them all with a sync speed of 1/500, thanks to its hybrid electronic shutter. 6 is my fave from the set. Totally cool. Glad you made it safe and sound! Hey Keith, thanks! #6 was a contender for the lead image, though I decided to go with a slightly more unconventional shot to mix things up.